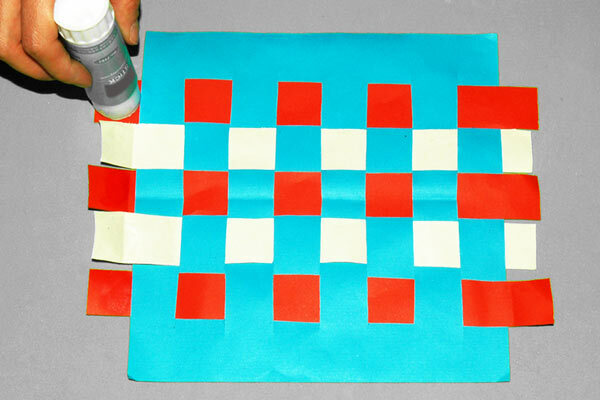 Learn the basics of weaving by making this easy paper weave picture. 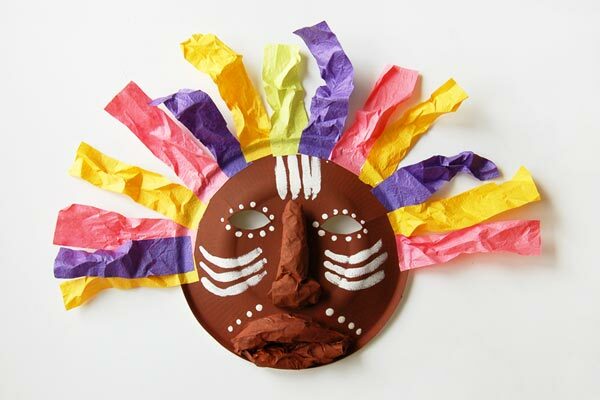 Use this craft project to apply color concepts like primary colors, monochromatic colors or complementary colors. 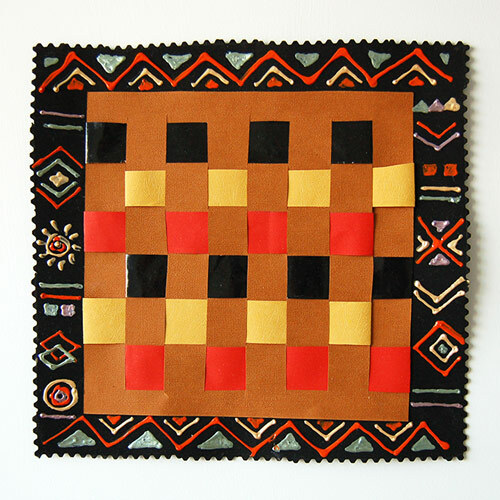 You can also make them in color combinations that celebrate various cultures around the world with weaving traditions. 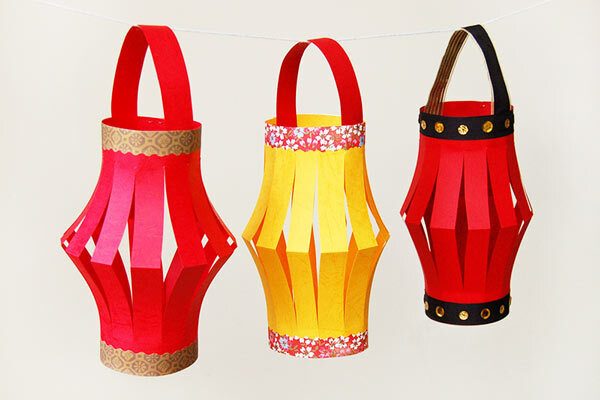 Cut paper into the desired shape and size of your paper weave picture. 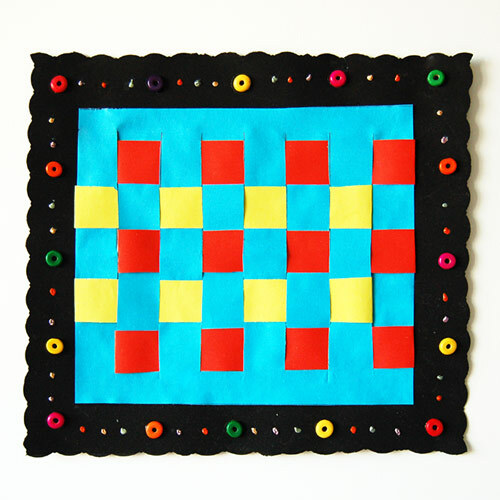 I cut mine into a an 8-inch square. 2Fold the paper in half. Cut evenly-spaced slits (mine are about 1-inch wide) starting from the folded edge and stopping about 1 inch from the opposite edge. 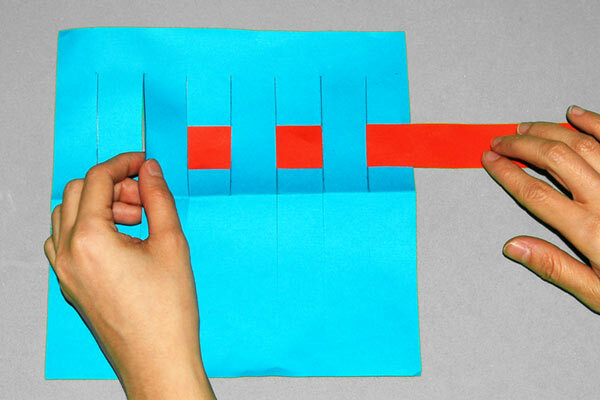 Drawing vertical lines to use as guides for cutting can be quite helpful, especially for younger kids. 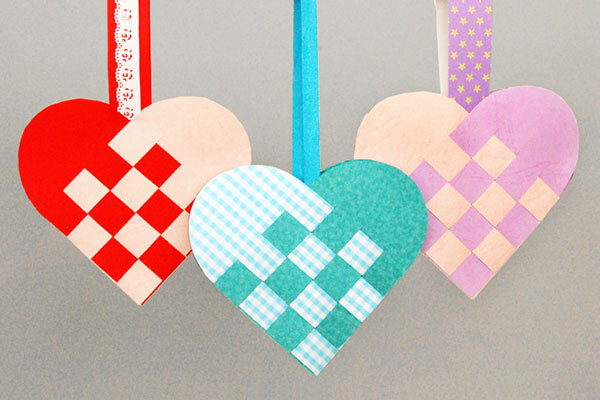 Cut colored paper strips. Mine are 1 inch wide and 10 inches long. The strips must be longer than the length of your square's side. 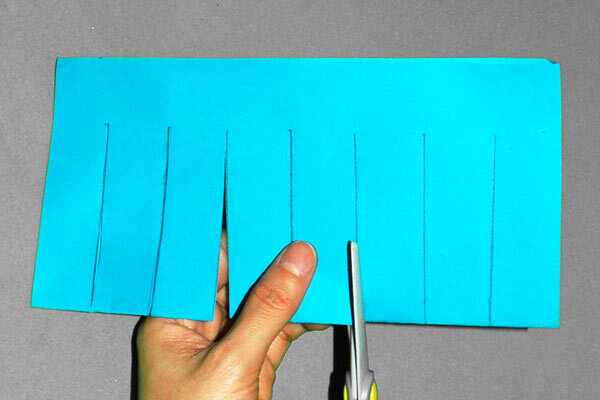 If your paper is a rectangle, the strips should be longer than the side perpendicular to the slits. Take one paper strip and weave it across the slits, going over and under the slits. Move the woven strip to the top and start with the next one. Weave the second strip in an opposite pattern as the first. If your first strip went over and under the slits, the second strip should go under and over the slits. 8Weave the rest of the strips. 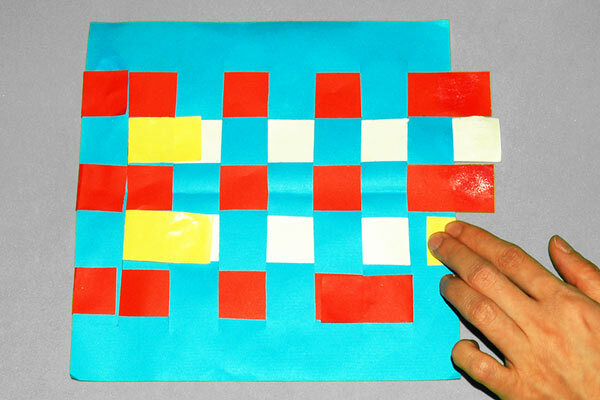 Weave more strips in an alternating pattern until you get to the bottom of the slits and your square or rectangle is full. Carefully flip the paper square so that the back is now facing up. 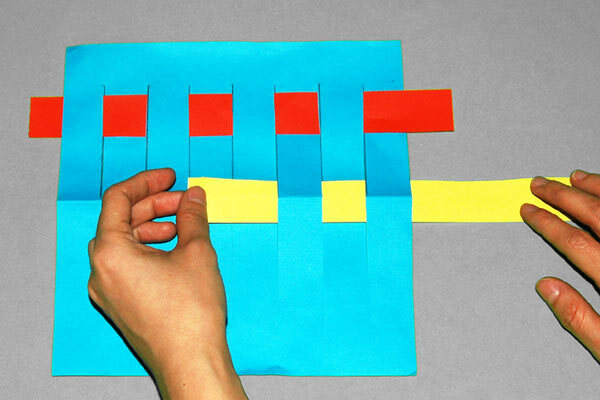 Apply glue at the ends of each paper strip. 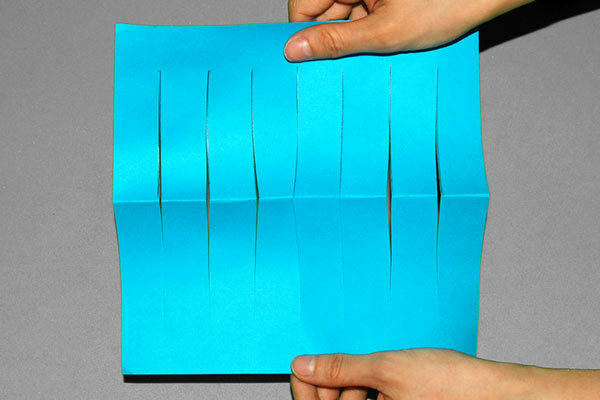 Fold the ends of each strip over the edges of the paper square or over the slits. Press to glue in place. 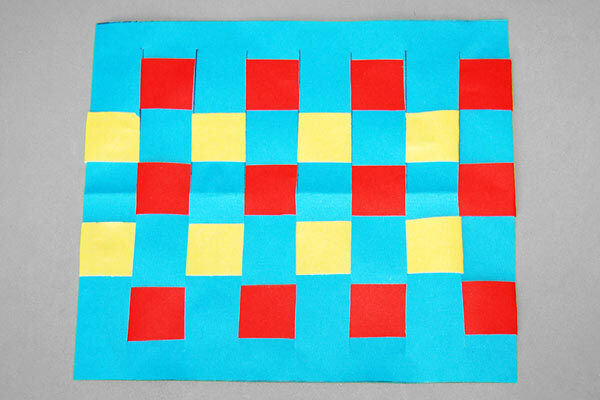 Flip the woven paper square again so that the folded ends are concealed at the bottom. 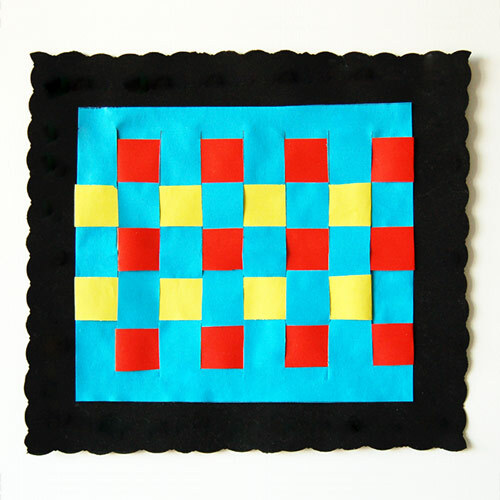 Cut a larger piece of construction paper or craft foam to frame your paper weave. 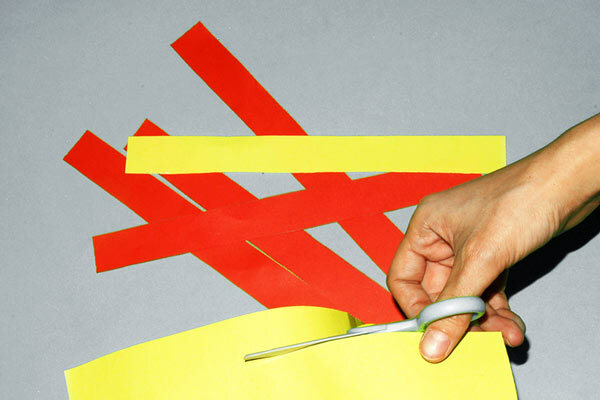 You can use a pair of paper edging scissors to create a wavy-edged frame. Glue your paper weave at the center of the frame. Decorate the frame, if you like. Use some glitter glue, puffy paint, sequins, beads, small craft foam shapes, stickers, buttons, ribbons, and other notions. 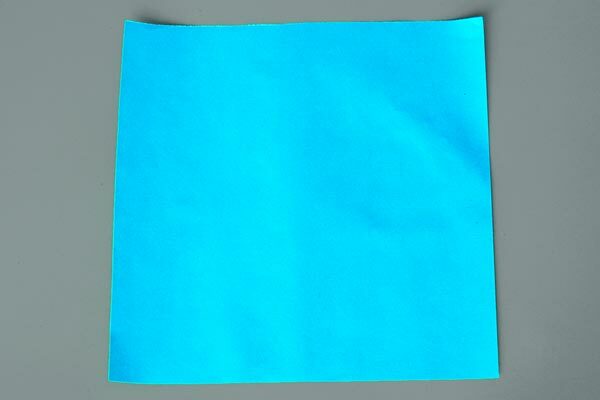 Create a themed paper weave. 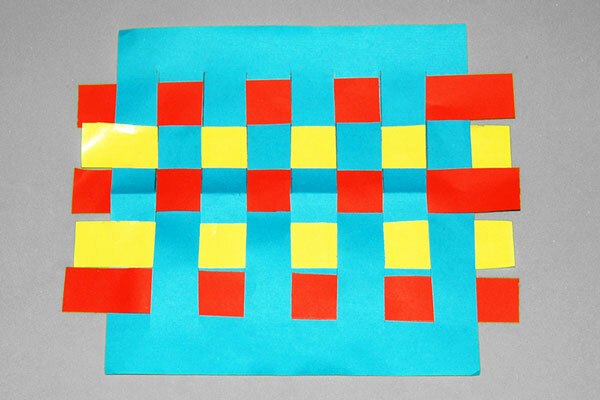 Make a paper weave while learning about color families and color theories. Try color combinations that show primary and secondary colors, complementary colors, warm and cool colors, monochromatic colors, neutral colors and so forth. 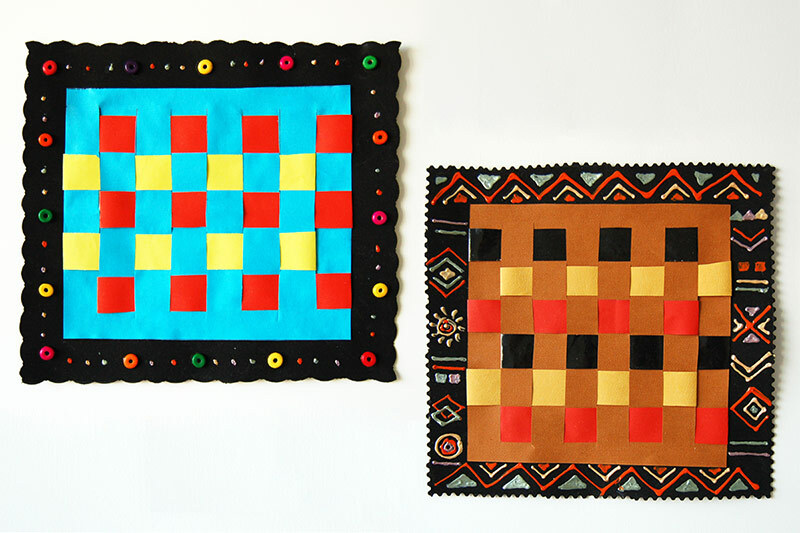 You can also learn more about the different weaving traditions around the world and make your own interpretation by making a paper weave picture. 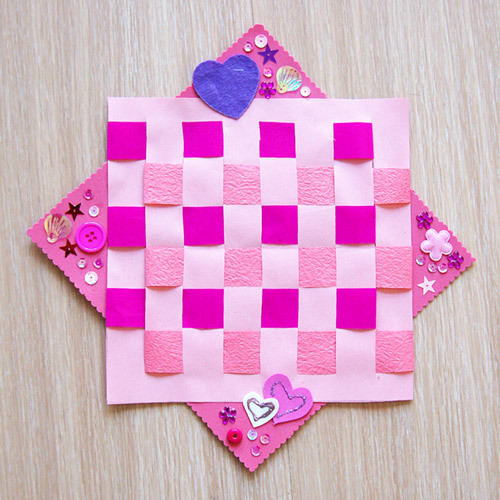 Make your paper weave picture as exciting as you like. Be creative not just with the color combinations, but with how your frame your picture. Have fun!